Every day, thousands of Christians suffer persecution simply because they follow Christ. On a daily basis, millions of believers face the possibility of having their property confiscated; their leaders beaten and jailed; and their families harmed, kidnapped, or even murdered. In fact, the persecution of Christians was on Mark's mind as he wrote what is now the second gospel of the New Testament, the Gospel of Mark. The early Christian church had suffered in many ways. But how were believers to understand the significance of their suffering? What could Jesus' example teach them about their difficulties? Mark responded to questions like these by telling the story of Jesus' life in ways that strengthened the faith of early Christians and encouraged them to persevere. 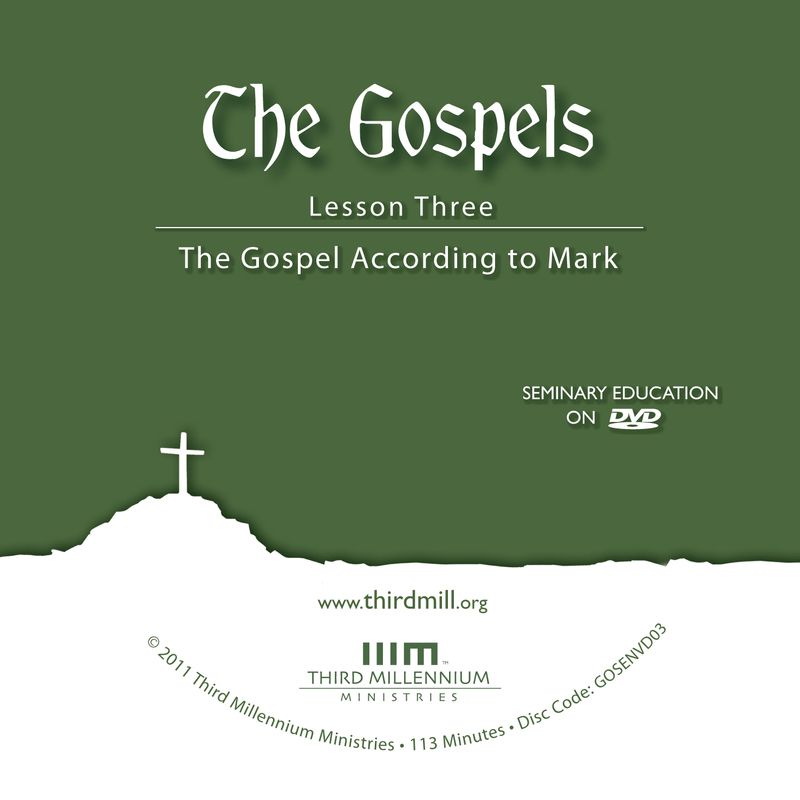 This is the third lesson in our series The Gospels and we have entitled it "The Gospel According to Mark." In this lesson, we'll look closely at Mark's record of Jesus' life so that we can apply his teachings more effectively to our modern lives. Our study of Mark's gospel will divide into three main parts. First, we'll consider the background of Mark's gospel. Second, we'll explore its structure and content. And third, we'll look at some of its major themes. Let's begin with the background of Mark's gospel. We'll explore the background of Mark's gospel by considering the author Mark himself, his original audience, and the occasion or circumstances of his writing. Let's look first at the author of Mark's gospel. We'll look at the authorship of Mark's gospel in two parts. First, we'll look at the traditional view of its authorship. And second, we'll explore the author's personal history. Let's start with the traditional view on this gospel's authorship. Among the earliest Christian writers that said Mark wrote the second gospel was Papias. Papias lived at the beginning of the second century, and was a bishop in Asia Minor around A.D. 130. Mark, having become the interpreter of Peter, wrote down accurately, though not in order, whatsoever he remembered of the things said or done by Christ. For he neither heard the Lord nor followed him, but afterward, as I said, he followed Peter, who adapted his teaching to the needs of his hearers. According to Papias, Mark's gospel was heavily dependent on the teaching of the apostle Peter. Mark had not been an eyewitness to the ministry of Jesus, but he recorded what Peter had seen and heard from Jesus. Other writers in the early church also affirmed the traditional view that Mark wrote this gospel. For example, the Anti-Marcionite Prologue to the second gospel, written around A.D. 170, directly asserts Mark's authorship. The church father Ireneaus, who wrote around A.D. 177, also affirmed this view. And in addition to this, the earliest Greek manuscripts that give a title to this book call it "According to Mark." The evidence affirming that Mark wrote the second gospel was widespread in the early church. In fact, we have no record from the ancient church of any significant debate over his authorship. Although in recent centuries some scholars have tried to deny this traditional view, they have not refuted the ancient testimony to Mark's authorship, nor have they been able to point to anything in the gospel itself that rules out Mark as its author. For these reasons, modern Christians can confidently affirm that Mark wrote this gospel. Now that we've confirmed the traditional view that Mark wrote this gospel, let's explore his personal history so that we can better understand his account. According to Acts 12:12, Mark was the son of a woman named Mary who lived in Jerusalem. It was in her home that some of the Christians in Jerusalem met to pray for Peter while he was in prison. So, Mark's association with Peter and other apostles began at least this early. Mark was also the cousin of Barnabas, as Paul mentioned in Colossians 4:10. He even assisted Paul and Barnabas on their first missionary journey. But as we learn in Acts 13:13, Mark deserted them in the middle of the trip and he returned to Jerusalem. As a result, Paul refused to allow Mark to join him on his second missionary journey. As we read in Acts 15:36-41, Paul and Barnabas separated over the issue. So, Barnabas took Mark with him to minister in Cyprus, while Paul chose Silas to replace Barnabas as his traveling companion. According to Colossians 4:10, however, Mark later won back Paul's confidence, and was even with Paul during one of his imprisonments. Later, Mark also assisted Peter when he ministered in Rome. In fact, he had such a close relationship with Peter that Peter affectionately called Mark, "my son" in 1 Peter 5:13. It was probably during this time that Peter taught Mark most of the details of Jesus' earthly ministry that are recorded in Mark's gospel. Now that we've talked about Mark as the author of this gospel, we should explore the identity of Mark's original audience. The witness of the ancient church and several details of Mark's gospel point to the churches in Italy, especially in the city of Rome, as Mark's original audience. We'll explore the idea that Mark wrote to the churches of Italy and Rome by looking briefly at the witness of the early church and at some details of Mark's gospel itself. Let's turn first to the witness of the early church. The three ancient witnesses we mentioned earlier — Papias (who wrote around A.D. 130), the Anti-Marcionite Prologue (written around A.D. 170), and Irenaeus (who wrote around A.D. 177) — all reported that Mark wrote his gospel in Italy, and some specifically identified the city of Rome. Moreover, none of them suggested that Mark had sent his gospel to the church in any other city. This indicates that Mark wrote to the local churches where he lived. And this conclusion is strengthened by 1 Peter 5:13 which locates Mark in Rome during the days he ministered alongside Peter. Of course, like all the Gospels, history proves that God intended the Gospel of Mark to be used by the whole church in all ages. But we are better prepared to interpret Mark's gospel the way he intended when we understand that he wrote out of a deep concern for what was happening to the Italian, and especially, Roman Christians of his day. In addition to the witness of the early church, many details of Mark's gospel also suggest that he wrote to churches in Italy, and more particularly in Rome. We'll mention four details of Mark's gospel that support the claim that he wrote to the churches of Italy and Rome. First, on a number of occasions, Mark explained Palestinian customs to his audience. For example, Mark explained the Pharisees' practice of washing their hands in Mark 7:3-4. Explanations like this suggest that Mark's audience included a substantial number of Gentiles who lived outside Palestine. James son of Zebedee and his brother John (to them he gave the name Boanerges, which means Sons of Thunder) (Mark 3:17). Mark provided similar explanations in 5:41, 7:34, and 15:22, 34. Aramaic speaking Palestinians would not have needed these explanations, and even many Jews outside Palestine would have been familiar with Aramaic and Hebrew from their synagogues. So, this detail suggests that Mark wrote to Gentiles outside Palestine. A third detail that points even more clearly to an audience in Italy and Rome is that Mark used more Latin words than any other gospel writer, indicating that a substantial part of his audience understood Latin. During the first century, Latin was not widely spoken in the Mediterranean world. It was primarily limited to Italy, the homeland of the Roman Empire. So, it's significant that Mark used Latin words at least 15 times. For example, in Mark 12:42, he used the Latin word lepta, referring to a small copper coin. Although he spelled the word in Greek letters, the word itself was Latin and was not likely to have been understood by those who didn't speak Latin. A fourth detail that shows the plausibility that Mark wrote to the churches of Italy and especially Rome is that Mark mentioned a man named Rufus. In Mark 15:21, we're told that the man who carried Jesus' cross to Golgotha was the father of Rufus and Alexander — two men that play no role in Mark's gospel. So why did Mark mention them? One of the best explanations is that they were known to, or even part of, Mark's audience. And in fact, a man named Rufus is mentioned as a member of the Roman church in Romans 16:13. Assuming he is the same Rufus mentioned by Mark, the implication is that Mark wrote to the church in Rome. None of these details individually proves that Rome was the destination of Mark's gospel. But their cumulative effect confirms the strong witness of the ancient church. And as we'll see later in this lesson, reading the gospel with a Roman audience in mind can help us draw out some of Mark's particular emphases, and apply them to our own lives in the modern church. With the author and original audience of this gospel in mind, we're ready to examine a third aspect of the background of Mark's gospel: the occasion or circumstances of its composition. We'll explore two aspects of the occasion for Mark's gospel. First, we'll consider the date when Mark wrote. And second, we will explore Mark's purpose for writing. Let's begin by looking at the date of Mark's gospel. The date of the composition of Mark's gospel can't be determined with absolute certainty. But overall, the evidence seems to point to a date in the mid- to late-60's of the first century. Ancient witnesses such as Irenaeus and the Anti-Marcionite Prologue to Mark claim that Mark wrote his gospel after the death of Peter. Peter was most likely martyred in Rome during the persecutions inflicted on the church by the Roman emperor Nero, following the burning of Rome in A.D. 64. Papias may imply that Mark began his work while Peter was still alive, but he does not rule out the possibility that Peter died before Mark finished. So, it seems reasonable to accept that the earliest date Mark would have completed his gospel would have been sometime around Peter's death in A.D. 64. The latest year Mark could have written is harder to determine. As we saw in an earlier lesson, many scholars believe that Mark was the first gospel written, and that Matthew and Luke both used Mark as a reference when they wrote their own gospels. Since none of these three gospels mentions the destruction of Jerusalem and its temple, which took place in A.D. 70, many scholars conclude that Matthew, Mark and Luke were all written before that time. And if Matthew and Luke received and utilized Mark's gospel before completing their own works, it's safe to say that Mark was completed even sooner than A.D. 70 — certainly by A.D. 69, and probably as early as A.D. 67, which would provide more time for Matthew and Luke to have become familiar with Mark's gospel before writing their own. With the date of Mark's gospel in mind, let's consider his purpose for writing. In one sense, Mark and all the other gospels shared one common purpose: to preserve a true historical record of Jesus' life and teachings. From A.D. 50 onward more and more of the apostles and eyewitnesses of Jesus' life, death, and resurrection were dying. So, there was an increasing need to preserve their testimony and witness. As Eusebius and other early church writers mentioned, part of Mark's purpose was to preserve Peter's record of Jesus' ministry. But preserving this record was not Mark's only purpose. As with every gospel writer, Mark didn't just want his readers to learn about Jesus. He also wanted them to draw lessons from the life of Jesus that they could apply to their own lives. But what were their lives like? During the years that Mark was probably writing, the church in Rome was suffering persecution under the Roman Emperor Nero. Nero ruled from A.D. 54 to 68. He is notorious for blaming the Christians for setting fire to Rome in A.D. 64, and for punishing them in horrible ways. Life was difficult in many ways for the Christians in and near Rome during this period. And as we'll see, Mark designed his gospel to minister to their circumstances. While there are many ways to describe Mark's purpose for writing, in this lesson we'll focus on the idea that Mark wrote his gospel to strengthen the persecuted Christians of Rome. Mark's gospel made it clear that whatever difficulties and temptations the Roman Christians faced as they suffered for Christ, they could be sure that Jesus had already faced them. He had been unjustly condemned in a Roman court. He had been beaten by Roman soldiers. And he had been crucified on a Roman cross. But through his suffering, Jesus had been victorious. And Mark wanted to assure his audience that if they followed Jesus faithfully, they would be conquerors too. Yes, they would suffer. But their suffering would be their path to glory, just as it had been for Jesus. Now that we've looked at the background of Mark's gospel, let's turn to its structure and content. On a large scale, Mark's gospel divides into five main sections. First, Mark opened his gospel with a relatively brief announcement of Jesus as the Messiah in 1:1-13. Second, there is a large section of narrative describing the power of the Messiah in 1:14–8:26. Third, a short, pivotal centerpiece presents the apostles' affirmation of the Messiah in 8:27-30. Fourth, another large section of narrative deals with the suffering of the Messiah in 8:31–15:47. And fifth, there is a short conclusion that records the victory of the Messiah in 16:1-8. We'll look at each of these portions of Mark in some depth, beginning with the announcement of the Messiah. The beginning of the gospel about Jesus Christ, the Son of God (Mark 1:1). When Mark referred to Jesus as "Christ," he used the Greek translation of the Hebrew word Messiah. Similarly, the term Son of God was another indication that Jesus was God's Messiah. In the Old Testament and in contemporary Jewish theology, the Messiah was to be the descendant of King David who would restore the royal throne to Israel and turn the nation into God's kingdom on earth. This opening declaration is followed by a brief account of Jesus' baptism by John the Baptist in Mark 1:2-11. At the end of Jesus' baptism, the Holy Spirit descended on Jesus, and God the Father's voice was heard from heaven announcing that Jesus was his beloved Son. In this way, both the Spirit and the Father confirmed that Jesus was indeed the long-awaited Messiah. But Jesus was not the kind of Messiah many people expected. In general, first-century Jews thought the Messiah would march into Israel and take over the government. But in Mark 1:12-13, we learn that immediately after Jesus' baptism, the Holy Spirit sent him into the desert to be tempted by Satan. He would ultimately triumph. But according to God's plan, his path to victory would follow a long road of trouble. Following the announcement of Jesus as the Messiah, Mark described the power of the messiah in Mark 1:14–8:26. In this section of Mark's narrative, Jesus began to demonstrate his power and authority as the Messiah. Many crowds gathered to see and benefit from this ministry, but they didn't recognize that Jesus' power proved he was the Christ. In fact, nowhere in this entire section did anyone refer to him as the Christ. Even Jesus remained silent about his own identity, and he encouraged others to remain quiet, too. Of course, the first readers in Mark's Roman audience were Christians, so they already knew that Jesus was the Messiah. But Mark's strategy in this portion of the narrative allowed them to feel the tension of the crowds around Jesus, who must have wondered who this man of power really was, and what he had come to do. Unfortunately, critical scholars have often taken Jesus' silence as an indication that Jesus was not self-conscious of his messianic role during his early ministry. But as we've seen in Mark 1:11, God himself announced Jesus' role as Messiah at his baptism. In this light, it's much better to understand Jesus' silence as strategic. Jesus had a particular goal to fulfill, and he knew that the more people flocked to him, the more that goal would be hindered. Mark's narrative describing the power of the Messiah can be divided into four parts. First, Mark provided an introduction that set the tone for the entire narrative. Second, he focused on Jesus' localized ministry near the city of Capernaum. Third, he explained that Jesus' ministry expanded to the rest of the region of Galilee. And fourth, he reported that Jesus eventually moved beyond Galilee, even into predominantly Gentile areas. We'll look at each of these three sections, beginning with the introduction in Mark 1:14-15. "The time has come," [Jesus] said. "The kingdom of God is near. Repent and believe the good news!" (Mark 1:15). Mark indicated that Jesus' central purpose in Galilee was to preach the gospel or good news that the kingdom of God was near, and that its blessings were offered to all those who would repent and believe. Throughout his record of the power of the Messiah, Mark focused on Jesus' ministry in and around the region of Galilee, beginning near the city of Capernaum, and spreading out from there. By comparing Mark's account with the other gospels, it appears that Mark omitted times when Jesus ministered in other places. These omissions indicated that Mark's goal was to report Jesus' activities and strategy in the region of Galilee, rather than to provide a detailed report of all his travels. After the introduction, Mark described Jesus' ministry near the city of Capernaum in the region of Galilee in Mark 1:16–3:6. Mark began by reporting that Jesus called his first disciples in Mark 1:16-20. In this section, we see that one way people responded to Jesus was in radical obedience. Jesus told them to follow him, so they dropped what they were doing and became his disciples. Next, Jesus proclaimed the gospel by teaching and working miracles in Capernaum in Mark 1:21-34. During this time Jesus' fame began to spread throughout Galilee, as it would continue to do so throughout his ministry. Because of his growing fame, crowds began to gather around Jesus, often hindering his ability to proclaim and demonstrate the gospel. So, he began to instruct others not to promote him as Messiah. Jesus then left Capernaum and began teaching and performing miracles in neighboring villages, as we see in Mark 1:35-45. Jesus moved to neighboring villages partly to spread his gospel through his teaching and miracles. But he also did it to escape the crowds in Capernaum that were preventing him from ministering freely. As he had done previously, he encouraged those he met not to spread reports about him. Next, Mark reported that Jesus returned to Capernaum, where he clashed with Jewish leaders, as we read in Mark 2:1–3:6. This part of Mark's gospel deals with things like Jesus' authority to forgive sin, his justification for ministering to sinners, and his teachings about the Sabbath. But it also introduces another consequence of his growing fame: Jesus' detractors began to grow in number, and to oppose him more strongly. In fact, the section ends by foreshadowing Jesus' death. In Mark 3:6, Mark reported that Jesus' opponents were so angry that many of them began plotting to murder him. Now that we've surveyed Jesus' work near Capernaum, let's see how he expanded his ministry throughout the region of Galilee in Mark 3:7–6:13. At this stage, Jesus preached and demonstrated the nearness of God's kingdom in new areas, moving beyond Capernaum to the rest of the surrounding region. As he preached repentance and faith in these areas, he continued to attract crowds, and to inspire strong opposition. This section begins with Jesus' withdrawal from the crowds in Mark 3:7-12. This paragraph sets the tone for the entire section by emphasizing that Jesus' fame was spreading everywhere, despite his attempts to minimize it. And the resulting crowds that gathered around him made it difficult for him to minister. This difficulty appears to be one reason that Jesus extended his ministry to other areas of Galilee. The next section of this narrative reports Jesus' appointment of twelve of his followers to be his special disciples, as we read in Mark 3:13-19. Jesus chose these twelve disciples to help him preach the gospel and perform miracles. But Mark also reminded his readers that one of these disciples would eventually betray Jesus. Opposition to Jesus would come not just from his enemies, but even from his closest followers. After this, Mark reported the opposition Jesus faced from teachers of the law and from his own family, as we see in Mark 3:20-35. This narrative demonstrates that as Jesus proclaimed the gospel of the kingdom with miraculous power, he faced opposition from all sides. Rather than receiving him as the Messiah, the teachers of the law believed he was possessed by the devil, and his own family believed he had lost his mind. Following this, Jesus proclaimed the gospel through parables about the kingdom of God in Mark 4:1-34. The secret of the kingdom of God has been given to you. But to those on the outside everything is said in parables so that, "they may be ever seeing but never perceiving, and ever hearing but never understanding; otherwise they might turn and be forgiven!" (Mark 4:11-12). Sadly, sometimes Jesus' parables also confused his disciples. But when this happened, Jesus explained his meaning in private to make sure they understood. The main point of the parables in this section of Mark's narrative is that God would bring in the fullness of his kingdom only after a long process of slow growth through the spread of the gospel. Jesus was bringing God's kingdom to earth. But he was doing it in a prolonged way that would often require his followers to face suffering and opposition, just as he had. Mark's account of Jesus' parables is followed by several displays of power in Mark 4:35–5:43. Here, Mark reported that Jesus controlled the weather, cast out demons, healed disease, and raised the dead. In each of these stories, the people were terrified in the face of danger. But after Jesus miraculously rescued them, their terror actually increased, because they didn't understand who this man of power really was. Following these displays of power, Mark wrote about the opposition Jesus faced in his hometown of Nazareth in Mark 6:1-6. This narrative reemphasizes that many people strongly opposed Jesus at this stage in his ministry. Even as his gospel spread with power, and the crowds following him increased, the people of his own hometown rejected him and his gospel. Finally, the account of Jesus' ministry in the region of Galilee concludes with the sending of the twelve disciples in Mark 6:7-13. Jesus sent his twelve disciples to preach the gospel of the kingdom and to perform miracles throughout the land of Palestine. But Jesus also made it clear that as the disciples spread the gospel of repentance and faith, people would respond to them in the same way they had responded to him. Some people would accept them, but others would reject them. Jesus consistently taught that the kingdom of God continues to grow despite its opposition. After reporting Jesus' gospel ministry near the city of Capernaum and the surrounding region of Galilee, Mark turned his attention to the power of the Messiah in Jesus' ministry beyond Galilee in Mark 6:14–8:26. In recording Jesus' work beyond the region of Galilee, Mark continued to emphasize some of the themes we've already seen. He reported the powerful spread of the proclamation of the kingdom, and the reaction of enthusiastic crowds, and the increasing number of Jesus' opponents. But Mark also began to focus on the disciples in new ways. He emphasized the ways Jesus trained them for the difficult days ahead. And he called attention to the ways they regularly misunderstood his teaching and failed in their commitments to him. Mark's report of Jesus' ministry beyond Galilee begins with an emphasis on Jesus' growing fame in Mark 6:14-29. In the past, when Jesus had limited his ministry to the area around Capernaum, his fame had spread throughout the entire region of Galilee. And now his fame continued to precede him. As Jesus remained on the outskirts of Galilee, his fame was spreading throughout Palestine and even reached King Herod. Mark also used this opportunity to address a question about Jesus' identity. Specifically, Mark explained that Jesus could not be John the Baptist, since King Herod had put John to death. Next, Mark reported several miracles in Mark 6:30-56. This section begins with Jesus attempting to withdraw from the crowds, but then it describes several works of power that demonstrate why the crowds had gathered in the first place. Jesus displayed his power by feeding crowds of 5,000 people and 4,000 people, by walking on water in the Sea of Galilee, and by healing the blind and the deaf. His miracles demonstrated his undeniable control over all creation. And because of these powerful miracles, the crowds followed Jesus wherever he went. Sometimes they even preceded him. Following Jesus' miracles, Mark reported the continuing opposition from the Pharisees in Mark 7:1-23. Jesus and the Pharisees clashed over the proper way to observe the Old Testament Law, the value of traditions, and the nature of holiness. And as a result, the tension between Jesus and the influential Jewish parties increased. Lastly, Mark reported another set of miracles in Mark 7:24–8:26. This section begins and ends with statements about Jesus trying to avoid and even to prevent crowds. And between these statements, it reports that Jesus performed many miracles among both Jews and Gentiles. And it even records that some Gentiles had faith in him. The disciples had forgotten to bring bread, except for one loaf they had with them in the boat. "Be careful," Jesus warned them. "Watch out for the yeast of the Pharisees and that of Herod." They discussed this with one another and said, "It is because we have no bread." Aware of their discussion, Jesus asked them: "Why are you talking about having no bread? Do you still not see or understand?" (Mark 8:14-17). Jesus was talking about spiritual corruption, but his disciples thought he was talking about bread for their stomachs. It's easy to see why Jesus would have been frustrated with them. Throughout Mark's report of Jesus' power as the Messiah, Jesus' miracles and teaching confirmed that he really was the Christ. So, why did so many people oppose him? Why did they reject him? Why did even his disciples have such difficulty understanding and following him? It was largely because Jesus was not the kind of Messiah people anticipated. Instead of rising to political supremacy as they had expected, he was using his power to preach the gospel and minister to the needs of others. Mark's original readers probably experienced the same tension the twelve disciples felt over the kind of Messiah Jesus was. The church in Rome had been planted at a time when Christianity was well received. And like much of the early church, they had probably expected Jesus to return relatively quickly to consummate his kingdom on earth. But instead, the passing years brought horrible suffering and persecution under Nero. So, Mark made it clear that Jesus would always be the powerful Messiah, even though he doesn't always do the things his followers expect. And because he's the powerful Messiah, believers can trust that when the time is right, he will victoriously consummate his kingdom just as he promised. But in the meantime, he is still the Lord, and he can sustain us through whatever troubles we face. After Mark's long narrative describing the power of the Messiah, we come to the third main section of his gospel: a short episode that records the apostles' affirmation of the Messiah in 8:27-30. This is the famous scene on the way to Caesarea Philippi in which Jesus drew out of his disciples the confession that he was the Christ. And almost every Markan scholar agrees that it forms the centerpiece of Mark's gospel. In the first verse of the gospel, Mark wrote, "The beginning of the gospel about Jesus Christ, the Son of God." Jesus was the "Christ," the Messiah. But since that verse, the word "Christ" had not appeared anywhere in Mark's gospel. Mark had not spoken of Jesus as the Christ. He had not reported that the disciples had called him the Christ, or that the people who witnessed him had speculated that he was the Christ, or even that the demons had used the term Christ. [Jesus] asked them, "Who do people say I am?" They replied, "Some say John the Baptist; others say Elijah; and still others, one of the prophets." "But what about you?" he asked. "Who do you say I am?" Peter answered, "You are the Christ" (Mark 8:27-29). After 8 chapters of evidence, the apostles finally affirmed their belief that Jesus was the Christ, the Messiah, the one who was bringing the kingdom of God. After the apostles' affirmation of the Messiah, the fourth major section of Mark's gospel deals with the suffering of the Messiah. This section extends from 8:31–15:47. In the first half of his gospel, Mark had focused on how Jesus' powerful ministry led up to the glorious affirmation that he is the Christ. But at this point, Mark began to emphasize a different aspect of Jesus' messianic work: his suffering and death in Jerusalem. Mark's record of the suffering of the Messiah divides into three main sections: Jesus' preparation of his disciples for his suffering and death, his confrontation with the Jewish leaders in Jerusalem that provoked his suffering and death, and finally his experience of suffering and death. We'll explore each of these sections, beginning with his preparation in Mark 8:31–10:52. The material describing Jesus' preparation of his disciples can be divided into three main parts, each of which begins with him predicting his suffering, death and resurrection. The first section focuses on Jesus as Lord of the kingdom in Mark 8:31–9:29. Mark began with a report of Jesus' unexpected strategy for bringing God's glorious kingdom to earth — namely Jesus' suffering, death and resurrection — which Mark explained in 8:31–9:1. Throughout his teachings in this section, Jesus talked about his own suffering, and warned his disciples that they would also have to suffer as they continued his gospel ministry. After this, Mark called attention to Jesus' unique authority by reporting an event commonly known as the Transfiguration in Mark 9:2-13. In this event, Jesus' glory was revealed visibly to Peter, James and John. Moses and Elijah also appeared with Jesus, indicating that Jesus affirmed and continued in the teachings of the Law and the Prophets of the Old Testament. But God commanded the disciples to honor and obey Jesus above even Moses and Elijah. This event prepared Jesus' disciples by reminding them to remain loyal to Jesus above all others and by encouraging them that loyalty to Jesus was the purest form of loyalty to God and his Old Testament revelation. Finally, Mark focused on Jesus' unique power by revealing his ability to control demons in Mark 9:14-29. Jesus' disciples could not exorcise a particularly difficult demon, and Jesus taught that such demons could only be exorcised through prayer. But Jesus himself was able to cast out the demon with a simple command. In this way, he demonstrated his superiority over all others, and ensured his disciples that he had unlimited power to bring his will to pass. Regardless of the doubts and fears they were to experience when he was killed, his power should have encouraged them to stand fast in their faith in him. The second part of Mark's account of Jesus' preparation for his suffering, death and resurrection deals with the values of the kingdom of God, and is found in Mark 9:30–10:31. Like each section of Mark's account of Jesus' preparation for Jerusalem, this one begins with Jesus predicting his suffering, death and resurrection. This helps us see that Mark was still emphasizing the disciples' preparation for those events. After this prediction, Jesus continued to prepare his disciples by explaining that God does not judge things the same way human beings do. So, no matter what they suffered, and no matter what strange things happened, they weren't to judge matters in the way the world does. Rather, they were to be assured that God was using these events to bring in his kingdom and to glorify Jesus. After Jesus' prediction in Mark 9:30-31, Mark reported Jesus' teachings on the values of the kingdom. In this section, Jesus demonstrated how worldly intuitions clash with God's truth in five areas of life. First, Jesus talked about honor in Mark 9:32-42, pointing out that those who are most honored in the kingdom of God are the ones that are honored least in this life. Second, Jesus talked about worth in Mark 9:43-50. Specifically, he instructed his followers to get rid of anything that hindered them from pursuing the goals of the kingdom of God, regardless of how valuable those things seemed to be in this life. Third, Jesus talked about marriage in Mark 10:1-12. His point was that marriage and divorce should ultimately be reckoned according to God's law rather than human law — even if human law seemed to be intuitively more fair. Fourth, Jesus talked about children again in Mark 10:13-16. Despite what Jesus had said earlier, his disciples were still preventing children from approaching him. In response, Jesus reminded them that God had already given the kingdom to these children, so that by refusing the children the disciples were opposing God. And fifth, Jesus talked about wealth in Mark 10:17-31. This is the well-known story of the rich young ruler, who was dismayed when Jesus told him that his attachment to money was hindering him from embracing the values of the kingdom of God. In each of these sections of teaching, Jesus explained the values of God's kingdom so that his disciples would be better prepared to accept his suffering death, as well as the hardship they would have to endure as his followers. The third part of Mark's account in Jesus' preparation for Jerusalem deals with leadership in the kingdom of God in Mark 10:32-52. After predicting his suffering, death and resurrection in Mark 10:32-34, Jesus addressed the question of leadership in the kingdom in three parts. First, he said that James and John would have to share in his suffering in Mark 10:35-40. They would drink of the same cup and undergo the same baptism. These metaphors implied that Jesus' followers would have to share in his sufferings because of their service to him. Second, Jesus described leadership in the kingdom as service in Mark 10:40-45. He had mentioned this idea twice before when talking about the values in the kingdom. But this was the first time he had explained the reason behind it: Christian leaders have to be servants because they follow the model of Christ, who himself acted as a servant by suffering and dying for sin. Third, Jesus demonstrated the motivation for servant leadership by showing mercy to the blind man Bartimaeus. Servant leaders are not to make sacrifices just because they want a greater reward in the kingdom, but because they truly have compassion for those they serve. Jesus insisted that leadership in the kingdom of God can't be modeled on the world's pattern of leadership. Instead, it needs to follow his own example of suffering. Our present sufferings are not worth comparing with the glory that will be revealed in us (Romans 8:18). After reporting Jesus' preparation of his disciples, Mark turned to Jesus' confrontation with the Jewish leaders in Mark 11:1–13:37. Mark's record of confrontation divides into two main parts: First, narratives of opposition in 11:1–12:44. And second, the Olivet Discourse in 13:1-37. Throughout this section of his gospel, Mark reported how Jesus forced the hand of the Jewish leaders. In earlier parts of Mark's gospel, Jesus had not looked for conflict with the Jewish leaders; he had faced opposition primarily as people had objected to his ministry of mercy. But in this section, Mark reported that Jesus actively sought opposition, in order to move toward his crucifixion. First, Jesus' triumphal entry into Jerusalem in Mark 11:1-11 publicly declared him to be the Messiah and rightful King of Israel. Next, his condemnation of Israel as a withered fig tree in Mark 11:12-14, 20–25, and his temple cleansing in verses 15-19, directly attacked the moral standing of the Jewish leaders and undermined their authority and influence over the people. Jesus also argued with the chief priests, teachers of the Law, and elders in Mark 11:27–12:12. After defeating their challenge to his authority, he told the parable of the vineyard tenants that accused the Jewish leadership of mutiny against God. At this point, they were ready to arrest him, but their fear of the crowds discouraged them. Next, Jesus argued with and refuted the Pharisees and the Herodians over Roman taxes in Mark 12:13-17. After this, in Mark 12:18-27, Jesus proved that the Sadducees had misunderstood what the Scriptures teach about resurrection. And finally, he attacked the teachers of the law in Mark 12:28-44. Although Jesus admitted that some of them knew the law, he insisted that as a whole they were controlled by greed and worldly ambition. In one way or another, Jesus forced a public confrontation with every party of influential Jews: the priests, the teachers of the law, the Pharisees, the Herodians, and the Sadducees. He gave every group a reason to hate him and to seek his death, in order to provoke them into killing him. The second major section of Jesus' confrontation with the Jewish leadership is a discourse between Jesus and his disciples. This discourse is commonly called the Olivet Discourse because it took place on the Mount of Olives. Broadly speaking, it spans Mark 13:1-37. In this section, Jesus warned his disciples of the hardship they would face in the future so that they would not be caught off guard. He taught them that they would be dragged before rulers to testify about him. They would be beaten. They would be hated. Their families would fall apart. They would suffer natural disasters and great tribulation. In fact, he made it clear that persecution and suffering would characterize the church until his return. But Jesus also gave his disciples great hope by assuring them of the final victory of the kingdom of God. For example, in Mark 13:26-27, he reminded them of the great victory that would be theirs when he consummated his kingdom in power and glory, as long as they remained faithful to him. Predictably, Jesus' words to his disciples continued to incite the Jewish leaders against him. For example, in Mark 13:1-2, Jesus taught his disciples that the temple would be destroyed. But as we see in Mark 14:58, his words were overheard and misinterpreted, so that during his trial he was falsely charged with planning to destroy the temple himself. Now that we've looked at Mark's account of the suffering of the Messiah in terms of Jesus' preparation of his disciples and confrontation with the Jewish leaders in Jerusalem, we're ready to turn to Jesus' experience of suffering and death in Mark 14:1–15:47. The record of Jesus' actual experience of suffering and death is filled with well-known events: the betrayal by Judas, the prediction of Peter's denial, the failure of the disciples to watch and pray with Jesus in Gethsemane, Jesus' arrest, the two trials and Peter's denial, and finally Jesus' crucifixion and burial. These are dark, threatening chapters. The mood is foreboding. They are filled with failure: failure of the Jewish leaders, failure of the crowds, failure of the Jewish and Roman legal systems, and failure of the disciples. Writing to a persecuted Roman church, Mark made it clear that the Jerusalem birth pangs of Christianity had been as severe as any in Rome. Mark's record of Jesus' experience of suffering and death can be divided into four main parts, beginning with his anointing for burial in Mark 14:1-11. In this section, Mark reported some very important details. First, he said that the chief priests and teachers of the law were looking for a way to arrest and kill Jesus. Second, a woman anointed Jesus with very expensive perfume, and he responded by saying that she had anointed him for burial. In this way, Jesus indicated that he would be killed in the immediate future. Third, Judas Iscariot began plotting to betray Jesus to the chief priests and teachers of the law. We might see this as the turning point in the story of Jesus' suffering and death. His death was no longer a vague threat but an imminent reality. Next, Mark reported Jesus' last hours with his disciples in Mark 14:12-42. This part of Mark's narrative begins with Jesus and his disciples preparing for and eating the Last Supper in Mark 14:12-31. It was during this meal that Jesus instituted the Christian ordinance of the Lord's Supper. He also used this time to give his disciples some final preparations to help them through his suffering and death. For example, he warned them that they would all fall away from him, and he foretold Peter's denials. After the Last Supper, the group went to the Garden of Gethsemane, as we see in Mark 14:32-42. According to this passage, Jesus was deeply distressed and troubled, and overwhelmed with sorrow to the point of death. He was clearly suffering greatly in anticipation of his crucifixion. The third section of Mark's report of Jesus' experience of suffering and death is the account of Jesus' arrest and trials in Mark 14:43–15:15. This section begins with Jesus' betrayal by his disciple Judas Iscariot in Mark 14:43-52. It continues with his trial before the Jewish leadership in Mark 14:53-65. Next, we read the report of Peter's denials that he knew and followed Jesus in Mark 14:66-72. And finally, we read about his trial before the Roman governor Pilate in Mark 15:1-15. At the end of these humiliating experiences, Jesus was flogged, and then handed over to the Roman soldiers to be crucified. The fourth part of Mark's report of Jesus' experience of suffering and death covers Jesus' crucifixion in Mark 15:16-47. It begins with Jesus being handed over to the Roman soldiers to be beaten, humiliated, and put to death on a cross like a common criminal. From a human perspective, his suffering was overwhelming. The fact that Jesus suffered this mistreatment at the hands of the Romans would have connected these events strongly to Mark's original audience of Roman Christians. They would have quickly seen the parallels between their Lord's suffering and their own, and should have taken his courage as an inspiration for them to persevere through their own difficulties. But the worst part of Jesus' suffering was that the sin of the world was laid upon him, and he was subjected to the wrath of God the Father. Finally, after he was dead, he was laid in a tomb, his body unprepared for burial because there was no time left before the Sabbath. Now that we've looked at the announcement of the Messiah, the power of the Messiah, the apostles' affirmation of the Messiah, and the suffering of the Messiah, we're finally ready to turn to the victory of the Messiah in Mark 16:1-8, where Mark described our Lord's resurrection. Before we get into the content of this section, we should pause to explain why we say that the Gospel of Mark ends in 16:8. After all, most of our Bibles have twenty verses in this chapter. But most of these Bibles also have notes saying that verses 9-20 don't appear in the most reliable ancient manuscripts of Mark's gospel.  In the ancient Greek manuscripts of Mark, there are three different endings. One group of manuscripts ends at verse 8. The second group ends at verse 20. And the third group has a two-sentence ending after verse 8. A careful evaluation of all the evidence has led most scholars to conclude that Mark ended his gospel with verse 8. The most ancient and most important manuscript traditions favor the shortest ending as the original. Many scholars believe that the other two endings seem to have been added because a scribe felt uncomfortable with the idea that Mark concluded the gospel with the sentence "They were afraid." But this scribal discomfort was unfounded. In fact, the theme of fear, awe and amazement runs throughout this gospel. And for this reason, the emphasis on fear is a very appropriate way to end this particular gospel. In fact, it also fits well with the experiences of Mark's original audience. As they faced persecution after the resurrection of Jesus, they were surely comforted to know that the earliest disciples of Jesus had also experienced fear. Let's turn now to the account of Jesus' resurrection in Mark 16:1-8. Mark's resurrection account is shorter than the same account in the other gospels, but this brevity is completely in character with the outline of this gospel. As you'll recall, the announcement of the Messiah that opened the gospel was also very short, and so was the apostles' affirmation of the Messiah that forms the gospel's centerpiece. "Don't be alarmed," [the angel] said… "He has risen! He is not here. See the place where they laid him…" Trembling and bewildered, the women went out and fled from the tomb. They said nothing to anyone, because they were afraid (Mark 16:6-8). The women's response is completely predictable in the context of Mark's narrative: they were afraid. Nearly everyone in this gospel responded to God's powerful presence in awe, amazement, and fear. God's people will experience weakness and need in this life. This was true for Mark's original audience in Rome, and it has continued to be true for the church throughout the ages. But the good news of the gospel is that the kingdom of God has come. The Messiah has conquered the enemies of God's people — even the final enemy, death itself. And for this reason, the people of God can boldly face the enemies of the gospel of the kingdom. The victory is already ours. Having considered the background and the structure and content of Mark's gospel, we're ready to look at some of its major themes. The identity of Jesus as the Messiah or Christ is undoubtedly the most critical theme Mark communicated in his gospel. Mark wanted to make sure that his readers knew that Jesus had truly come to save them from their sins. Jesus was the king who had conquered death. He was powerful, fearsome, unstoppable, and glorious. He was the redeemer who had come to rescue them by bringing the kingdom of God to earth. And despite the fact that they couldn't see him anymore, he was still in control, and he had promised to return to finish the salvation he had started. For our purposes in this lesson, we'll divide the theme of Jesus' messiahship into two parts. First, we'll consider Jesus as the messianic suffering servant. And second, we'll look at his identity as the messianic conquering King. Let's begin with Jesus' role as the suffering servant. Our discussion of Jesus as the suffering servant will divide into three parts. First, we'll mention some Jewish expectations regarding the Messiah. Second, we'll briefly highlight the nature of Jesus' ministry as the suffering servant. And third, we'll talk about the proper response Mark wanted his readers to have to this aspect of Jesus' messiahship. Let's look first at the Jewish expectations for the Messiah that were common in Jesus' day. For hundreds of years before the time of Christ, the vast majority of Israelites lived outside the Promised Land. And those who remained in the Land suffered under the tyranny of Gentile rulers. At first it was the Babylonians, then the Medes and the Persians, then the Greeks, and finally the Romans. And this long history of suffering led Jewish theologians to emphasize the Old Testament prophecies that God would eventually send a messianic liberator to restore Israel's kingdom. Jewish messianic hopes took many different forms. For example, the zealots believed that God wanted Israel to usher in the day of the Messiah by rebelling against the Roman authorities. Different apocalyptic groups believed that God would supernaturally intervene to destroy his enemies and restore the people. There were also nomists, like the Pharisees, who believed that God would not intervene until Israel became obedient to the Law. So, in Jesus' day, there were many people who longed and waited for their Messiah to come. He came as a humble, suffering servant. Jewish messianic hopes looked for an immediate earthly political kingdom under the rule of Messiah similar to the kingdom that David had ruled centuries before. But Jesus didn't even try to establish this kind of kingdom during his earthly ministry. And this caused many people to reject him as the Messiah. Interestingly, the idea of the Messiah as a suffering servant wasn't new. The Old Testament prophet Isaiah had indicated this role for the Messiah, especially in Isaiah 53, which the New Testament frequently applies to Jesus. We can even say that if Jesus had not suffered and served, then he wouldn't have met the Old Testament requirements as Messiah. And therefore, far from disqualifying him as the Christ, Jesus' suffering service is proof that he really is the Christ. But only a few people discerned this Old Testament theme during Jesus' lifetime. Most of them were so committed to contemporary Jewish speculations regarding the Messiah that they didn't recognize him when he came. With these Jewish expectations in mind, let's turn to Jesus' ministry as the suffering servant. Jesus was a surprising Messiah because he conquered by dying. Early in the gospel, Mark reported the conflicts that eventually led to his crucifixion. And the second half of the gospel is dominated at first by the theme of Jesus' impending suffering and death, and then by his actual suffering and death. And parallel to this emphasis on Jesus' suffering is an emphasis on his service. He healed and ministered to many different people. He gave his life as a ransom to redeem sinners. He obeyed God's will at every turn in order to benefit God's people. One place where Mark powerfully joined these themes of suffering and service is Mark 10:35-45. In this passage, James and John asked Jesus for places of honor in Jesus' kingdom. Then the other ten disciples became angry at this aspiration to glory. But Jesus rebuked all twelve of them. He urged them to a life of service, and offered his own life as a model. Even the Son of Man did not come to be served, but to serve, and to give his life as a ransom for many (Mark 10:45). Jesus made it clear that leadership was a form of service to God and those who were led. Leadership is not an opportunity for glory. On the contrary, it more often results in suffering for the leaders. In fact, Jesus knew that his mission of serving others would eventually lead to his death. But this was a mission he embraced. And he commanded his disciples to embrace it too. With Jewish messianic expectations and Jesus' ministry in mind, let's consider the responses Mark wanted his readers to have to this aspect of Jesus' identity as the Christ. Love the Lord your God with all your heart and with all your soul and with all your mind and with all your strength (Mark 12:30). Here, Jesus referred to Deuteronomy 6:5 in order to stress the totality of God's demands on the lives of his people. We have to be totally dedicated to God in every aspect of our being and lives. Following Jesus involves sacrifice and suffering. But he still requires us to be wholly dedicated to him, and to be willing to live in ways that the world despises for the sake of his kingdom. If anyone would come after me, he must deny himself and take up his cross and follow me. For whoever wants to save his life will lose it, but whoever loses his life for me and for the gospel will save it (Mark 8:34-35). In one way or another, every Christian has a cross. But the glory and blessing of salvation is worth the sacrifice. With man this is impossible, but not with God; all things are possible with God (Mark 10:27). We don't have the power to obey Jesus in the radical way he demands. But God does. And he uses that power within us in order to make sure that we enter his kingdom. Mark wanted his original audience in Rome to know that their suffering and persecution was a sign that they were true followers of Christ. It was part of Jesus' plan for his kingdom. And Mark wanted his readers to be encouraged by this fact. He wanted them to have confidence that God would empower them to persevere through their difficulties, just as he had empowered Jesus, so that they could face their sufferings with courage and hope. Jesus is still bringing in his kingdom slowly; he is still using the suffering of his people as a means to that end; and he is still empowering us to endure. Suffering for the sake of Jesus and his kingdom shouldn't discourage us; it should comfort and inspire us. We suffer because we're his servants. And we're confident that one day our suffering will be rewarded with blessings beyond comprehension — blessings that more than make up for the difficulties we endure. The second aspect of Jesus' identity we'll consider is his role as the conquering King that brings God's kingdom to earth. The Old Testament made it clear that the Messiah would be a descendant of King David, and that his job would be to restore the glory of David's throne and to rule over Israel forever. We see this prophesied in places like Psalms 89, 110 and 132, and confirmed in Mark 12:35. So, whenever Jesus was identified as the Christ or Messiah, his royal status was also affirmed. For example, this is why he was called "Son of David" in Mark 10:47-48. And Jesus himself openly claimed to be the messianic King in Mark 14:61-62 when he was tried before the Sanhedrin, and in Mark 15:2 when he was tried by Pilate. We'll consider three aspects of Jesus' role as the conquering King that Mark emphasized. We'll consider the fact that Jesus proclaimed his kingdom. We'll see that he demonstrated his power and authority. And we'll note that he conquered his enemies. Let's start with the fact that Jesus proclaimed his kingdom. After John was put in prison, Jesus went into Galilee, proclaiming the good news of God. "The time has come," he said. "The kingdom of God is near. Repent and believe the good news!" (Mark 1:14-15). The central purpose of Jesus' preaching ministry was to proclaim the gospel or good news that the kingdom of God was near, and that its blessings were offered to all those who would repent and believe. And of course, Jesus often described the kingdom of God. For example, in Mark 10 he identified those who could enter the kingdom with ease, such as children, and those who could enter only with great difficulty, such as the rich. The second aspect of Jesus' role as the conquering King we'll mention is that he demonstrated his power and authority as the head of God's earthly kingdom. Jesus demonstrated his kingly power and authority primarily through his miracles. For example, Mark 4:41 says that creation obeyed his commands. And demons frequently recognized him as the Son of God, as we see in places like Mark 1:24, 3:11, and 5:7. Jesus' ability to accomplish his will over nature and demons was a strong demonstration that he had come to bring God's kingdom to earth. And the same thing is true of his miraculous healings. The blessings of the kingdom include life and health. So, when Jesus healed people, he was distributing kingdom blessings to them, according to his royal privilege. Besides performing miracles, Jesus also demonstrated his royal power and authority in other ways. For instance, in Mark 1:16-20, Jesus boldly called the disciples to leave their homes, families, and businesses to follow him. He didn't just give wise suggestions; he demanded a life-changing response. In fact, this is the same command he gives to everyone who hears the gospel, and he continues to expect the same response. Every human being is obligated to obey Jesus, committing their lives to him and following him wherever he leads. Perhaps the most memorable example of Jesus' authority is when he forgave the sins of the paralytic in Mark 2:3-12. Jesus and everyone else knew that only God could forgive sins. But amazingly, Jesus didn't tell the man to seek forgiveness from God; he authoritatively forgave the man's sins. As a result, this statement was not just an assurance of the man's pardon, but also of Jesus' royal authority. By forgiving the man's sins, Jesus demonstrated that he had divine authority to administer justice within the kingdom of God. And by healing the man immediately after forgiving him, Jesus proved that his message truly came from God. And of course, Jesus' authority to forgive sins is one of the greatest reasons we have to follow him. Through him, our sins can be blotted out, so that we can be reconciled to God. Rather than being his enemies, we can be loyal citizens of his kingdom, with all the eternal blessings that come with it. The third aspect of Jesus' role as the conquering king we'll mention is that he conquered his enemies. Jesus had many enemies during his life: the Jewish leaders that opposed him, the unbelievers who rejected him, the demons he cast out, and other enemies as well. And in every instance in which he clashed with his enemies, he won. He defeated their arguments; he avoided their plots; he released people from their oppression. He even used their plots to accomplish his own purposes, allowing them to crucify him on the cross so that he could atone for sin. All these victories proved that Jesus really was the Messiah, the Davidic king that had come to bring God's kingdom to earth. One set of enemies Mark frequently mentioned was the demons. In fact, Mark put more emphasis on Jesus' power over demonic and satanic forces than any other gospel writer did. Mark focused his readers' attention on Jesus' control over demons. For Mark, this conflict between Jesus and the demons was evidence that Jesus had brought the kingdom of God. The presence of the kingdom did not imply peaceful living without struggle. On the contrary, it implied that Jesus' kingdom had come to do battle with and eventually defeat the demonic powers of the kingdom of wickedness. For the Christians in Rome, this meant that their sufferings were part of a larger spiritual war. And even though they might be oppressed and persecuted for a time, they were still on the winning side, and one day they would have complete victory. And the same is true for us today. "This is my blood of the covenant, which is poured out for many," he said to them. "I tell you the truth, I will not drink again of the fruit of the vine until that day when I drink it anew in the kingdom of God" (Mark 14:24-25). As a gentle shepherd, Jesus promised that far from being a cause for discouragement, his death would be God's covenant victory over sin and its consequences. Jesus also promised that this would not be the last meal he would share with his disciples. After all the horrible things that were about to happen — his arrest, trials, suffering and death — he would drink again with them when his kingdom was consummated in all of its glory. From Mark's original readers in the ancient world to the church throughout the ages, our celebrations of the Lord's Supper remind us that Christ's victory will eventually overcome all our sufferings. One day, we will be rewarded by celebrating a victory meal with Jesus himself. In his crucifixion, death, and burial, Jesus allowed death to have power over him for a time, so that he could redeem us from sin. But he didn't remain under that power. In his resurrection, he conquered even death, proving beyond all doubt that he is the Christ, the messianic King God has sent to restore his kingdom to earth. But if Jesus came to be king, does that mean he failed? This question must have troubled Mark's persecuted audience, just as it has troubled many Christians in every age. After all, we don't see Jesus reigning on earth right now. It doesn't look like he accomplished everything the messianic king was supposed to do. Jesus was not the kind of Messiah most people expected in the first century, and he is not the kind of Messiah most people want today. He lived a life of suffering servitude, and he called his kingdom people to do the same. In his parables of the sower and the mustard seed in Mark 4, Jesus taught that his followers would be troubled by persecution, and that it would look like his kingdom was going to be defeated. But he also taught that in some people the word of the kingdom takes root and bears fruit. They embrace the kingdom of God in obedience. They follow Jesus, and increase the kingdom of God. Whatever is hidden is meant to be disclosed, and whatever is concealed is meant to be brought out into the open (Mark 4:22). Mark's message to his original audience and to us is clear. The kingdom of God grows mysteriously, struggling against persecution, suffering and enemies. But it also grows certainly, according to God's timetable. God's kingdom and Jesus' ministry cannot be stopped. One day, Jesus will return to finish what he started. He will finally and completely defeat all his enemies, and we ourselves will be glorified, entering the final state of an eternal life that can never end. At that time, there will be no Old Testament prophecy left unfulfilled. He will have accomplished everything. In this lesson we've considered the background of Mark's gospel in terms of Mark's authorship, his original audience and the occasion of his writing. We have also explored the structure and content of his gospel. And we have focused on two of its major themes: the identity of Jesus as the suffering servant and conquering king. If we read this gospel with these ideas in mind, we'll find that we understand Mark more fully, and that we make better applications to our own lives in the modern world. The Gospel of Mark highlights aspects of Jesus' character and ministry that aren't always emphasized in the other gospels. It shows us Jesus as a powerful, energetic, active master of his surroundings. But it also shows us that even in his power, Jesus willingly took on the role of suffering servant. And Mark calls us to a variety of responses to our Lord's example. He wants us to fall at Jesus' feet in amazement, to listen to him in silence, and to respond to his words with radical obedience. He wants us to be willing to suffer for the kingdom of God, just as Jesus did. And he wants us to be encouraged, knowing that when Jesus conquered his enemies through the cross, he also secured victory for us. And it's in that hope that we persevere until the day Jesus returns in glory to give that victory to us in the consummation of his kingdom. Dr. Pete Alwinson (Host) is the Executive Director of FORGE: City Wide Ministry to Men with Man in the Mirror. He is also the founding pastor of Willow Creek Presbyterian Church (PCA) in Winter Springs, FL, where he served as Senior Pastor for 26 years. Dr. Alwinson received his M.Div. from Trinity Evangelical Divinity School and his D.Min. from Reformed Theological Seminary. He is currently an Adjunct Professor at Reformed Theological Seminary and a Board Member of Key Life Network. Dr. Stephen Chan is Associate Professor of Theology and Religious Studies at Seattle University. Dr. Robert Plummer is Associate Professor of New Testament Interpretation at The Southern Baptist Theological Seminary.